The shape of Lego's figures is a protected trademark and therefore cannot be copied, an EU court has ruled. 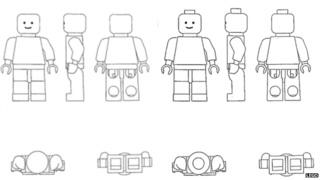 Competitor Best-Lock, who makes similar toys, had challenged Lego's attempt to protect the shape of its human figures. But the appeal was dismissed on Tuesday by the General Court of the European Union. Lego, the world's biggest toy maker, had registered the "three-dimensional trademark" in 2000. Best-Lock tried to argue that the shape of Lego's little men and women was determined by the fact that they were part of a toy that involved "interlocking building blocks for play purposes". This would have made the trademark invalid. But the EU court ruled that the essential elements of Lego's figures had nothing to do with their ability to join them to other building blocks. Characteristics such as holes in the feet and legs did not obviously have a "technical function", it said in a statement. The court therefore upheld Lego's registration of the shape as a protected trademark. This is not the first time that Lego has been challenged in an EU courtroom. In 2010, Canadian competitor Mega Bloks won its case and prevented Lego from registering a red toy building brick as a trademark. How did Lego become a gender battleground?